For those of you that don’t know, Lizzie is the main character of Jane Austen’s hugely influential novel, Pride and Prejudice. Often regarded as the quintessential romantic novel, Austen’s tale of the romantic misadventures of the Bennet sisters has been hugely influential on the modern romance novel, and several adaptations have been made in the two hundred or so years since it was published. Lizzie herself has been the subject of literally millions of high school English essays, and is often a feature on several ‘most beloved literary characters’ lists. In some respects, Lizzie is in control of her own destiny, but in others, she is not. She puts her own happiness ahead of her financial security, despite the wishes of her mother, and in this respect she’s firmly in control. She refuses both Mr Collins and Mr Darcy’s first proposals despite the social stigma accompanying this. In order to be financially secure, she would have to marry before her father dies, and in a society where women were expected to be married, not liking for your future husband wasn’t always seen as acceptable grounds for turning him down. This carries extra weight when you consider that Mr Darcy would very definitely be considered Lizzie’s social superior, and that by Regency standards, Mr Collins being a member of the clergy would have made him a real catch. However, she’s always going to be limited by the society she lives in. In Regency England (roughly 1790-1830 if you’re going by social indicators, 1811-1820 if you’re measuring by kings) upper-class women were expected to marry someone appropriate to their social station, were denied access to most forms of formal education and careers, and were largely brought up being told that their main goal in life should be to find a nice man, settle down and start a family. Lizzie is no exception to this. It’s taken as read all throughout the novel that marriage is her only path to financial security, and Lizzie is never able to break away from these expectations. She doesn’t seem interested in marriage until she finally falls for Mr Darcy, but never entertains the idea that she even has an alternative. That’s not because there weren’t any women breaking away from societal expectations in Regency England – just look at the selection from Rejected Princesses. Breaking away from those expectations in Regency England would have meant cutting ties with your family, friends, and the entire social sphere you had been brought up in, and it’s no wonder that Lizzie doesn’t entertain this notion. She tries to assert herself and mostly succeeds, but she’s got a hell of a lot to work against. Lizzie doesn’t have a lot of clearly defined goals or beliefs, but it’s pretty clear that she wants to marry for love. This isn’t explicitly stated in the novel (although it often is in the adaptations), but her actions make it clear that this is a firmly held belief, as it leads her to throw away two chances to secure her future by marrying men she doesn’t love. It’s never explicitly stated, but it’s implied that this belief is the result of watching her parents’ less-than-perfect marriage. She does, however, indulge in several pastimes that look a lot like hobbies to the modern reader, but are actually called ‘accomplishments’. These take the form of playing music, singing, dancing, drawing and conversation, but whether they technically count as hobbies is another matter. As ‘accomplishments’ were taught to girls as a means of making them more attractive to potential husbands, you have to question whether Lizzie genuinely enjoys these pastimes or if she does them just because she is expected to. She also enjoys walking and reading – much more unusual for a nineteenth-century woman, but by no means beyond the pale – but I’m not entirely sure if this is enough to redeem her, as these were exactly the sort of genteel, sedate things that young women were encouraged to do. With that in mind, I’m giving her a half point. Lizzie’s actually a very consistent character. She’s a very lively, intelligent character prone to making snap judgements, and this remains constant through most of the novel. Her ‘accomplishments’ remain at a constant level throughout the book too, so she passes this round. Actually, you can’t describe Lizzie’s trajectory as a character without mentioning her love life. Aside from the fact that she’s living in a society that has inextricably linked her love life with her financial prospects, Pride and Prejudice is a romance novel, so Lizzie’s love life is always going to be central to both the plot and to the development of her character. You can describe her personality without mentioning her love life, but this leaves out a huge aspect of her progression through the novel as it doesn’t touch on what she actually does, or her eventual character development. This is something that modern romance novels have to work hard to avoid (and they usually achieve this by giving the heroine a secondary plot where she fulfils a pre-existing goal), but this isn’t the case for Pride and Prejudice because of the historical social restrictions that I touched on earlier. While Lizzie does make decisions influenced by her love life, it doesn’t dominate all her decision-making. A lot of her decisions are influenced by her own pride and prejudices (SEE WHAT I DID THERE), and also by her love for her family and desire to secure her own happiness. Lizzie’s character development has been the subject of countless English Literature essays, so I won’t go into it in too much detail. Over the course of the novel she comes to recognise her own prejudices and judgemental mindset, and works towards overcoming them. This is all fantastic character development – and the fact that she does it all while acquiring a super-hot, mega-rich husband is just an added bonus. Lizzie actually has quite a few weaknesses, and they actively hold her back all throughout the book. She’s very quick to judge other people but often bases these judgements on surface-level observation, she can hold a grudge even when it flies in the face of not just the facts, but her own best interests, and she’s also very bad at recognising her own weaknesses, even when they’re holding her back. These are all things she becomes aware of in the novel and has to work against, so she passes this round with flying colours. Lizzie definitely influences the plot, but it’s not always in the decisive ways that other heroines I’ve looked at do. She does make decisions that have an impact on the plot, but the relationships she forms with other characters also play a significant role in directing the action. By siding with Wickham, she ensures that no-one will get close enough to Darcy to find out the truth of his character, indirectly leading to Lydia’s elopement with Wickham. She may be partially hindered by societal expectations, but her actions and opinions are a driving force behind the novel, so she passes this round. In some ways, Lizzie Bennet is a very typical young woman. Her life revolves around young men, dances, and parties – but it’s crucial that we remember that this was exactly what early nineteenth century society expected all upper-class young women’s lives to revolve around, and it would have been very unusual for her to pursue other opportunities. This is where it gets really interesting. By Regency standards, Lizzie Bennet breaks down all kinds of gender stereotypes – she’s impertinent, intelligent, lively, fond of physical exercise and rarely thinks of her appearance. This was an unusual way to depict a female character in the nineteenth century, because women were mostly expected to behave in a very docile, gentle manner, avoid strenuous exercise and always be clean and pretty. However, by modern standards Lizzie’s personality is nothing new for a fictional heroine, especially one in a romance novel. She was certainly a ground-breaking character when Pride and Prejudice was first released, and she’s certainly had a hell of an impact on modern romance novels – you only have to look at the abundance of ‘love/hate’ relationships, and pretty much all the ‘sexually charged bantering’ scenes in modern romance owe something to her lively, teasing style of conversation. But in terms of modern gender stereotypes she’s a very traditional character who doesn’t really challenge any of the newer beliefs about gender and sexuality, so I can only award her half a point. Lizzie has a whole host of relationships with a range of different female characters. She shares a strangely exasperated love for her mother and younger sisters, a very deep bond with her older sister, Jane, a mutual enmity with Caroline Bingley and outright hostility to Lady Catherine de Burgh. Perhaps her most interesting relationship is with her friend Charlotte Lucas: she is very close to her, but vehemently disapproves of her choices, and must mend her friendship with her after Charlotte marries Mr Collins. That’s a wide range of relationships with a wide range of characters, so she passes this round. Lizzie is an intelligent, witty young woman who struggles against her weaknesses, has a wide range of relationships with a whole host of female characters and drives the plot forward, but she’s still failed my test (but only by half a point). Most of the weaknesses in her character stem from the fact that her entire existence is dominated by her love life, which in turn stems from the society she inhabits. By nineteenth century standards, she was a ground-breaking character, but although she’s had a massive impact on modern literature, she doesn’t quite measure up to modern standards. That said, she’s been hugely influential in the fields of British literature and the modern romance novel, and Pride and Prejudice is still a story that continues to inspire people all around the world. Even though she’s failed my test, I still love the character, and if you ever try to take away my copy of the BBC mini-series I will fight you. Next week, I’ll be looking at Discworld, and examining one of my favourite characters. Granny Weatherwax, I’m coming for you. For those of you that don’t know, Leia is the heroine of George Lucas’s original (and best) Star Wars trilogy. The story follows her attempts to lead a rebellion against the evil Galactic Empire and bring balance to the Force – and also make out with 1970s Harrison Ford when she finds the time (and also her brother, but let’s not judge – it worked for Cersei Lannister). She’s an iconic science fiction character and has been hailed as a role model for young girls everywhere. NOTE: For clarity’s sake, I’ll be basing my analysis off the original trilogy of movies ONLY. I’m well aware that there is additional information about the character in the extended universe novels, but I just don’t have the time to read them all (and besides, my volumes of the Star Wars Encyclopaedia are in a box in the attic and I can’t be bothered to get them down). Leia spends most of the trilogy leading a rebellion against a thinly veiled Nazi allegory, and she plays a very active role in this. She co-ordinates battle plans, steals the schematics for the Death Star, and literally has to be dragged out of her military base when it starts collapsing around her ears. She does all this at great personal risk – she’s captured more than once, and it’s implied she’s also tortured by that weird floating thing that looks like a cross between a Dalek and a colander – but she keeps on going anyway. She’s very much in control of her own destiny – and of the destinies of many of the other characters – and takes an active role in shaping it. She passes this round with flying colours. Leia doesn’t really have many hobbies, but her goals and beliefs are pretty clear: she believes that the Empire is evil, and she makes taking it down her first priority. In the movies, there’s no clear source for these beliefs apart from her own convictions, and so once again, she passes this round. Throughout the trilogy, Leia’s personality and skills both remain fairly consistent. She’s always a fiery, strong-willed character who knows her way around a blaster. Towards the end of Return of the Jedi she starts picking up on some of her latent Jedi abilities, but this doesn’t happen in a completely unrealistic way: she only hears Luke’s message to her, rather than suddenly developing the ability to shoot lightning from her hands. The only issue worth raising in terms of consistency is the worrying tendency for her to become much weaker when she’s captured. She’s perfectly capable of fighting her way out of trouble, but as soon as one of the baddies grabs her upper arm, she’s completely powerless and all she can do is flail. However, it’s worth pointing out that when she is captured, she’s usually outnumbered by enemies who are much better armed than she is, so you could make a case that this temporary weakness is a tactical move on her part. There’s not enough evidence for this in the movies, though, so she only gets half the point. A princess from leading a rebellion against an evil empire and trying to restore peace to the galaxy. Leia’s love life hardly features in the movies at all. She kisses Han Solo and Luke Skywalker, but most of her decisions are focused around leading the rebellion, keeping her forces safe and trying not to die. Much like Belle, Leia doesn’t really develop much over the course of the movies. While she does achieve her goals and bring down the Empire – and gets to make out with Han Solo some more – she doesn’t really learn anything while she’s doing it. She’s so perfect she’s practically a Disney Princess. Not really. She snaps at other characters a lot, but this doesn’t drive them away from her, and she certainly doesn’t have a weakness that prevents her from achieving her goals. All her problems are external – there’s no element to her personality that seriously inconveniences her, and this just isn’t realistic. 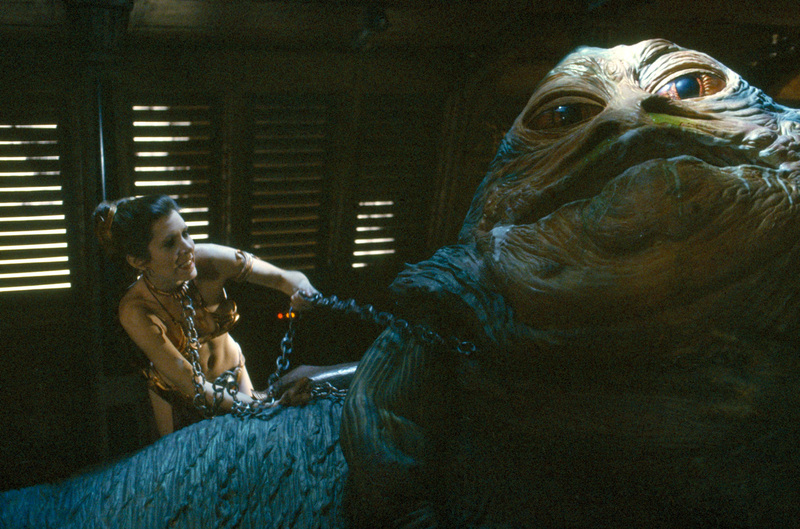 Leia gets captured a lot in the Star Wars trilogy, but this isn’t the full extent of her influence on the plot. It’s true that she manages to get captured at least once in every film, forcing some of the other characters to come and rescue her, but this isn’t all she does – a substantial amount of her screen time is devoted to making sure that the audience sees her leading the rebellion, taking charge of the other characters and just generally keeping the plot moving. So much of the movies depend on her getting captured to even have a plot that I can’t award her the full point, but she gets half a mark for trying. Leia relates to gender stereotypes in a really interesting way. In some ways, she’s very clearly in the role of the damsel in distress, who must depend on the male characters to save her. She’s also absent from a lot of the serious battle scenes (particularly the X-wing fights), often being placed in the rebel base, watching the attack from the sidelines. This plays into a lot of ideas that women are not capable of fighting to the same standard as men – which is a pretty tired old stereotype. While she’s absent from a lot of the big fight scenes, it’s shown that she’s a capable fighter, can pilot a speeder relatively easily, and is more than prepared to full-on CHOKE JABBA TO DEATH WITH HER OWN SLAVE CHAIN. What’s more, she’s shown to be a very skilled political leader, who’s more than capable of drawing up battle plans and inspiring her troops. This really undercuts the stereotype that young women are not cut out for political or leadership roles – she is by far the best political leader we see in the original series. In this respect, Leia’s character can be pretty divisive. While the positive aspects of her character in relation to gender stereotypes cannot be denied, whether she passes this round or not really depends on how much the individual viewer is bothered by her role as the damsel in distress. For my part, I think it’s worth noting that being captured by an enemy doesn’t make you weak (it just makes you a prisoner), and during her captivity she withstands torture and Sith mind games and never gives in. I think that deserves the point. Leia doesn’t really relate to other female characters, for the simple fact that she’s pretty much the only named female character who survives beyond the first half an hour of A New Hope. What this means is that she effectively becomes a representative for her gender – her actions are no longer seen as the actions of an individual, but as the actions of someone standing in for 50% of the human population. Leia is a competent leader who drives the plot of the whole trilogy, and while she’s handled pretty consistently as the series progresses she just isn’t fleshed out in the way that fully developed characters are. She doesn’t have a weakness, she doesn’t progress over the course of the movie, and because she’s the only significant woman in the whole trilogy, her actions aren’t always seen as truly her own. She hasn’t passed my test, but that’s not to say that she hasn’t had a huge impact on popular culture. Aside from being one of the most metal princesses ever, she’s a role model that lots of young girls look up to – and it wasn’t so long ago that I was one of them. She might not stand up to a full-blown character analysis, but that doesn’t necessarily mean that she’s not worth analysing at all. Next week, I’ll be looking at one of the classic romance novels, Pride and Prejudice. Lizzie Bennet, I’m coming for you. For those of you that don’t know, Clara is the latest companion on the British television series, Doctor Who. The Doctor – a time-travelling alien who flies all around the universe in a disused phone box (just go with it) – is always accompanied by a human companion on his adventures, and Clara is the latest one to take the helm of the TARDIS. She’s been praised as a refreshingly down-to-earth character – particularly in the latest series, where there is no romantic relationship between her and the Doctor – and has been hailed as a role model for young girls everywhere. 1. Does the character shape her own destiny? Does she actively try to change her situation and if not, why not? Clara’s been the Doctor’s companion for two series so far, and to answer this question properly, I’m going to be looking at the two series as separate entities. In her first series, Clara is known as ‘The Impossible Girl’ because she has several different incarnations of herself – in various different points in time and space – that are all ostensibly the same person. From her very first appearance, she’s presented as a puzzle to be solved, and this seriously undercuts her agency as a character. The overall series arc revolves around the Doctor’s attempts to figure her out, and as Clara herself is largely unaware of this, she cannot participate in her own story. The show’s writer, Steven Moffat, actually admits this in an article here, so you guys can just take my opinion as fact while I bask in a lovely smug glow. But in her second series, she doesn’t really fare much better. She spends most of both of her series getting dragged around by the Doctor, with very little input into where they go or what they do – it’s only when the Doctor is forcibly removed from the picture that she gets a chance to move the plot along for herself. She decides to stop travelling with the Doctor a few times, but always changes her mind in the next episode, usually after the Doctor has persuaded her. It’s pretty clear that the Doctor is the one who is in control of her destiny, not Clara. 2. Does she have her own goals, beliefs and hobbies? Did she come up with them on her own? Clara’s goals, beliefs and hobbies only come up when they are relevant to the plot. When she is first introduced, she tells the Doctor that she always wanted to travel, but due to family circumstances she had to cancel her plans. She carries around a book of ‘101 Places to See’ for an episode or two, but never actually asks the Doctor to take her to any of them. Similarly, at the beginning of her second series, we see that she has become a teacher, but she has never expressed any interest in teaching, or even mentioned that she has gone through the many years of training needed to qualify as a teacher at all. She doesn’t really have any hobbies that are mentioned in the show, and her beliefs – while they are at least discussed – are pretty generic. She believes in doing the right thing, with a strong sense of emotional and moral responsibility, but this isn’t enough to redeem her, so I’m withholding the point. 3. Is her character consistent? Do her personality or skills change as the plot demands? Clara’s personality is relatively consistent. She’s very flirty, reasonably intelligent, “feisty” – but only in the sense that she picks fights with people without ever actually having to deal with the consequences – and very motherly. This isn’t really anything new in terms of companion’s personalities (or in Moffat’s female characters, for that matter) but it is at least consistent. The only thing worth mentioning is that when it comes to her “feisty” side, she suffers from some serious Bella Swan Syndrome. Other characters always talk about how feisty she is and how she never does what she’s told, yet SHE ALWAYS DOES WHAT SHE’S TOLD EVERY SINGLE TIME. The closest she ever gets to disobedience is a witty quip before she carries out her orders – that’s one hell of an informed personality. Her skills are where things get a little patchy. In the first series, it’s established that she’s bad with computers, yet after an encounter with what is essentially a walking wifi hotspot, she becomes a top hacker – but it’s science fiction, so that’s not too unreasonable an assumption to make for this kind of story. She’s consistently bad at cooking (especially soufflés) and consistently good with children. Where things get a little shakier is when details that should have been established much earlier on in the show – like her love for (and ability to memorise and quote) Marcus Aurelius, or her desire to become a teacher – are just casually dropped in to episodes simply when a writer wants to make a point. She certainly passes the personality round, but her skills need a bit more development for her to get full marks. 4. Can you describe her in one short sentence without mentioning her love life, her physical appearance, or the words ‘strong female character’? A young woman swept up on a series of adventures, travelling through time and space and fighting evil. 5. Does she make decisions that aren’t influenced by her love life? Clara actually makes a lot of decisions that aren’t influenced by her love life, particularly when she’s travelling with the Twelfth Doctor, who she has never been romantically interested in. Her love life does factor into her decisions, but not in a disproportionately large way, so I’m giving her the point. 6. Does she develop over the course of the story? Clara’s character doesn’t really develop at all over the course of her two series. She’s pretty much static, despite everything she goes through. As this includes sacrificing her entire existence to save the Doctor, having to protect several children from various alien beasties, and the untimely death of her boyfriend, her lack of development really rings hollow. The only one she really appears to feel the effects of is the death of her boyfriend – the others she just takes in her stride, leaving no real effect on her personality. Not only does this stop her from developing as a character, it really undermines the sacrifices she makes, so I’m withholding the point. 7. Does she have a weakness? Clara is consistently shown to be a compulsive liar, and this seriously affects her relationships with other characters (most notably, her boyfriend). It isn’t really explored to its fullest extent, but it is a serious and persistent flaw that repeatedly holds her back. 8. Does she influence the plot without getting captured or killed? Clara’s ability to influence the plot is a little bit complicated. I touched on this earlier, so apologies if I repeat myself. In her first series, Clara is ‘The Impossible Girl’. She’s a puzzle that the Doctor wants to solve, and what this means is that it’s very easy for her to stand completely still and let the plot happen around her. She influences the plot just by being alive, and as I’ve already discussed in previous reviews, that doesn’t count as agency. In both of her series, she spends most of the episodes getting dragged around by the Doctor. She does occasionally get to choose where they go, but not often – mostly, the Doctor’s the one driving the TARDIS. She does get moments of agency throughout both of her series, but these all happen when the Doctor is either off-screen or incapacitated. This is where she demonstrates the intelligence and bravery she’s rumoured to have, but crucially, she’s never once allowed to out-shine the Doctor. What’s more, in some of her more significant moments – such as when she persuades the Doctor to try and save Gallifrey, or when she has to beg the other Time Lords to save the Doctor – rely on her pleading with other characters to do what she wants, rather than actually doing something herself. By only allowing her to influence the plot when the Doctor is unable – or unwilling – to do so, her agency is seriously undermined, and it becomes pretty clear that she only has an impact when the writers allow it. 9. How does she relate to stereotypes about gender? In a lot of ways, Clara is pretty much the stereotypical young woman. She’s flirty, kind, good with children – all traits traditionally associated with women of her age – but she’s also intelligent and unafraid of picking fights (even though they never actually come to anything). The unfortunate implications really start to pile up when you look at how she relates to the Doctor. When she first meets him she has no goals and is vaguely dissatisfied with her life, and she’s very quick to drop everything and run off with him. There’s nothing that really ties her to her human existence – unlike the other companions, who were all shown to have pretty strong relationships with their families, Clara doesn’t interact with hers outside of the Christmas specials. This might not seem like much, but it ties into a lot of stereotypes about how women’s lives only really become significant when they meet ‘that special someone’ – in Clara’s case, this is true, as she’s clearly unhappy with her situation, and she does nothing to change it until Matt Smith and his chin show up. To a certain extent, this continues throughout her time with the Doctor, as when she’s unhappy with his behaviour, she rarely puts her foot down – and when she does, her decisions never last longer than an episode. What’s even more worrying is the way she functions when she interacts with Peter Capaldi’s Doctor. 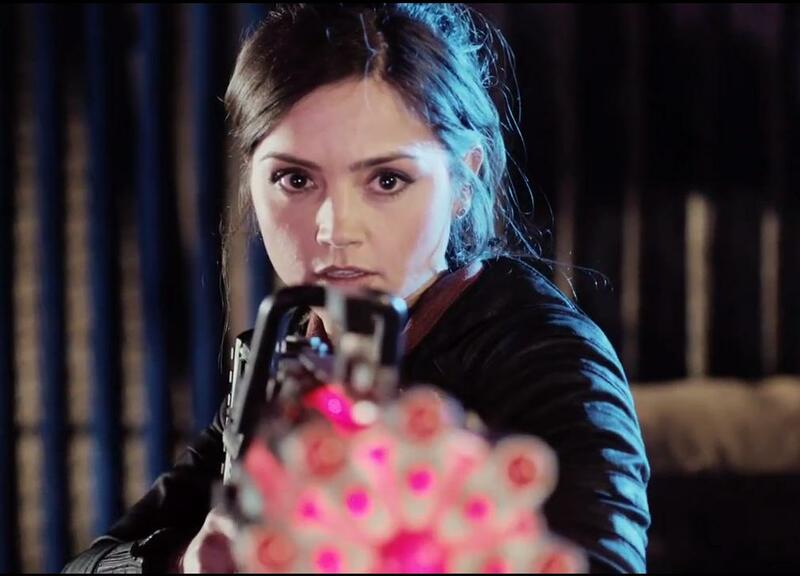 The plot actively prevents her from out-shining both the Eleventh and Twelfth Doctors except in one area – emotional intelligence. She essentially functions as the Doctor’s moral compass, telling him what is and what isn’t acceptable behaviour – something which the Doctor’s previous incarnations never needed. She’s basically become a more attractive version of Jiminy Cricket. In reducing her to the role of the Doctor’s conscience – and in making most of the meaningful interactions in her life centre around the Doctor – what this implies is that she can’t have a satisfying or fulfilling existence without the Doctor’s presence in her life. When you apply this thinking to men and women, everyone loses: men in their being denied any kind of emotional intelligence, and women in their being denied any kind of independence. Basically, just don’t do it. 10. How does she relate to other female characters? Clara’s relationships with other female characters are all kind of generic. She’s usually nice to other female characters (unless they’re clearly introduced as the villain), but she doesn’t really interact with a singular female character often enough to really develop a strong, realistic relationship with them. The closest she comes is with Madame Vastra and Jenny, and she seems to get along with them relatively well – although this is really because they are friends of the Doctor. When the Doctor is out of the picture at the start of Clara’s second series, the strain in their interactions becomes immediately visible, and even though part of this is down to their disapproval of Clara’s behaviour, a much more significant part of this is down to the fact that they clearly just don’t know how to talk to her. Clara is a bit of a difficult character. When I first started watching her series, I thought she might pass my test, but once you really analyse her character it becomes clear that she doesn’t have anywhere near the same amount of agency that the Doctor’s previous companions had. While she does have some realistic weaknesses and isn’t totally focussed around her love life, her character doesn’t really develop, leans on some outdated stereotypes and doesn’t have much of an impact on the plot unless the Doctor isn’t there. She has moments where she’s pretty convincing, but it’s pretty clear that the writers simply aren’t paying attention to her character development. 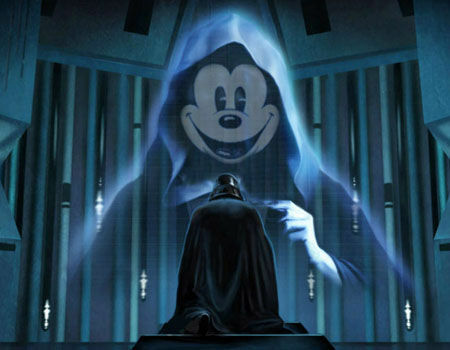 Next week, I’ll be looking at one of my childhood favourites, Star Wars. Princess Leia, I’m coming for you.